In July 1944, Operation Cobra broke the stalemate in Normandy and sent the Allies racing across France. 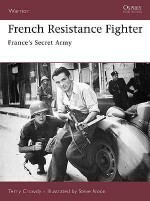 The Allied commanders had ignored Paris in their planning for this campaign, considering that the risk of intense street fighting and heavy casualties outweighed the city's strategic importance. However, Charles de Gaulle persuaded the Allied commanders to take direct action to liberate his nation's capital. 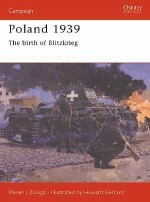 Steven J Zaloga first describes the operations of Patton's Third Army as it advanced towards Paris before focussing on the actions of the Resistance forces inside the city and of the Free French armoured division that fought its way in and joined up with them to liberate it on the 24th August. On the back of this morale-boosting victory, De Gaulle could finally proclaim Paris to be liberated, as one of the world's loveliest cities survived Hitler's strident command that it should be held at all costs or razed to the ground. Steven J. Zaloga was born in 1952, received his BA in history from Union College, and his MA from Columbia University. He has published numerous books and articles dealing with modern military technology, especially armoured vehicle development. His main area of interest is the US Army of World War II, as well as Russia and the former Soviet Union.Howard Gerrard studied at the Wallasey School of Art and has been a freelance designer and illustrator for over 20 years. He has worked for a number of publishers and is an associate member of the Guild of Aviation Artists. He has won both the Society of British Aerospace Companies Award and the Wilkinson Sword Trophy and has illustrated a number of books for Osprey. Howard lives and works in Kent.